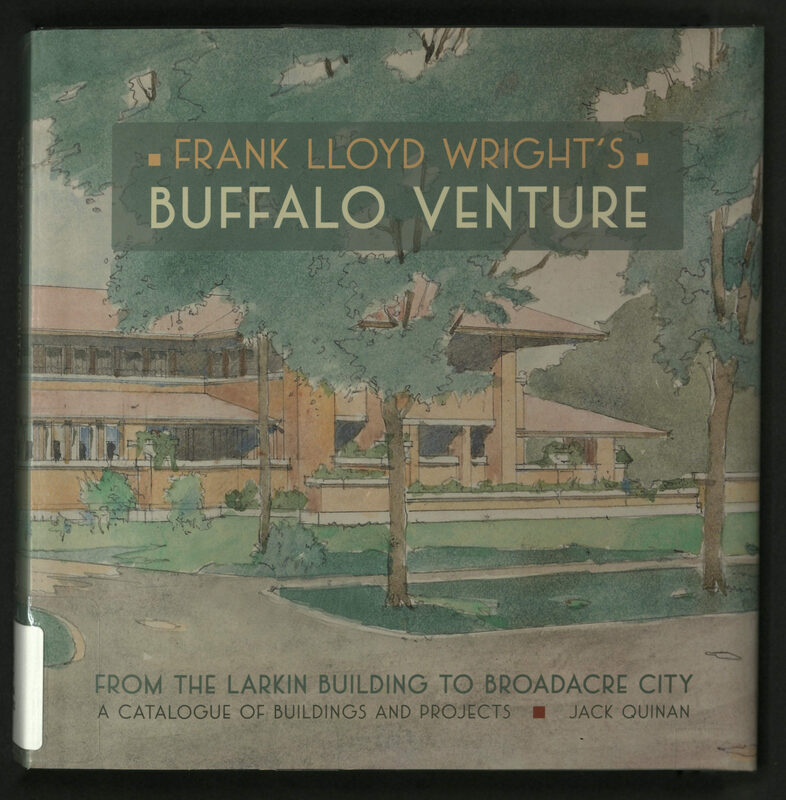 Rare Books contributed several images to this book. 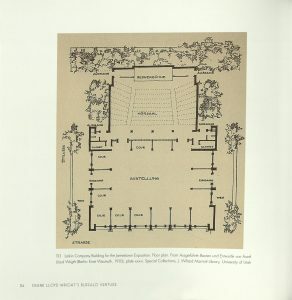 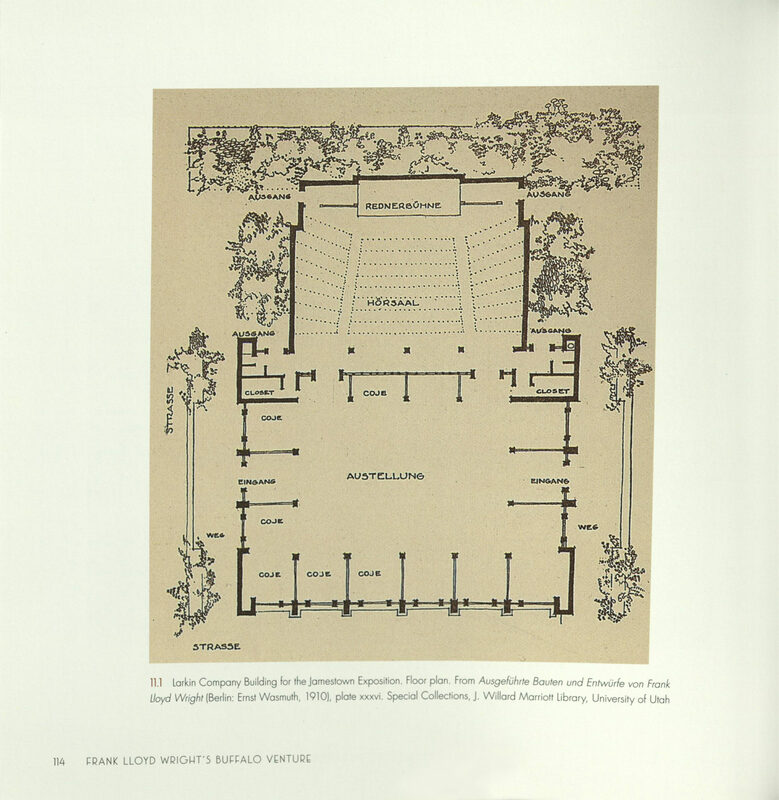 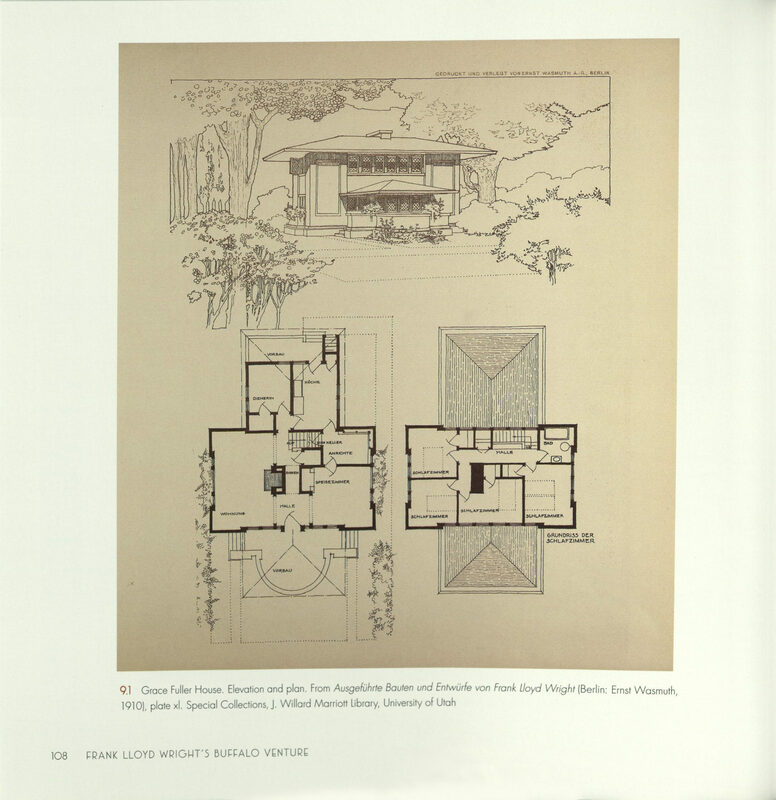 The Wasmuth Portfolio was a collaborative effort between Ernst Wasmuth, a Berlin publisher and Frank Lloyd Wright. 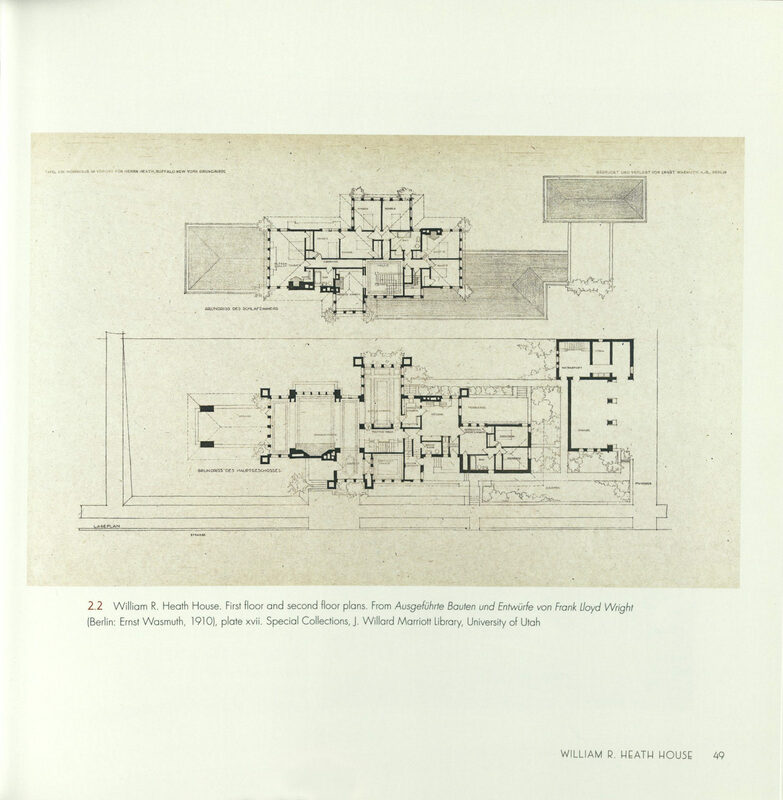 It was Wasmuth’s idea to publish a complete folio of Wright’s work to date. 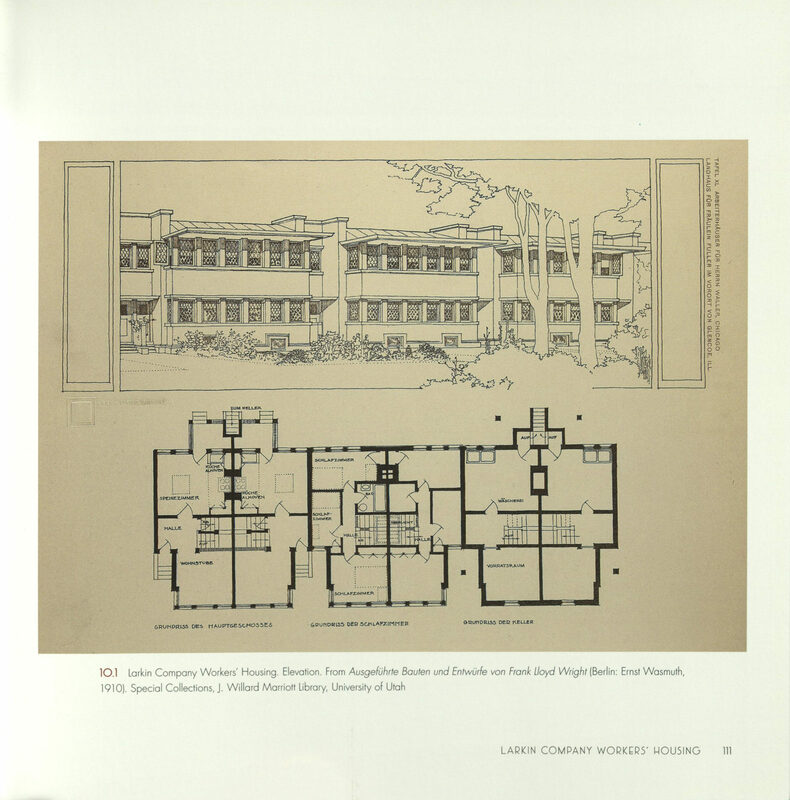 The project was completed during Wright’s first trip to Europe in 1909 and published in 1910-11. 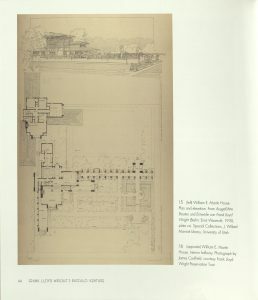 The collection of Wright’s houses and commercial buildings received far more attention and praise in Europe than in the United States. 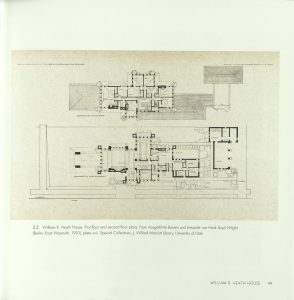 Contemporary architects called it “the most important book of the century.” The portfolio consists of one hundred and thirty-one prints and overlays with accompanying text in English and German. 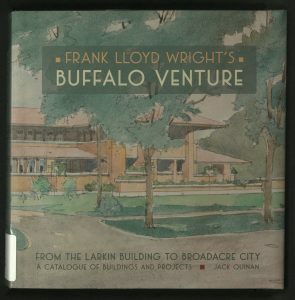 A letter from Frank Lloyd Wright to Taylor Wooley, dated 1911, suggests that six hundred and fifty copies were produced for this edition. 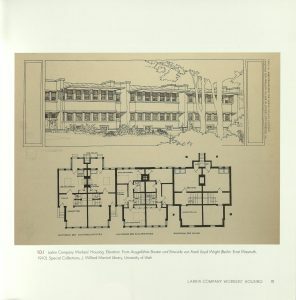 View a digital copy of our portfolio here. 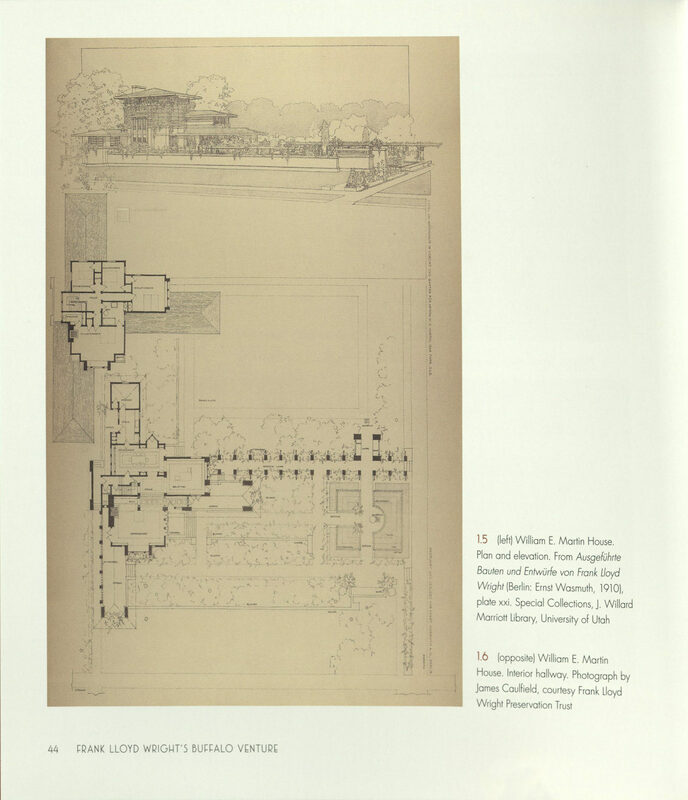 See an article using our portfolio here.